If Vesta’s formation had followed the script for the formation of rocky planets like our own, heat from the interior would have created distinct, separated layers of rock (generally, a core, mantle and crust). In that story, the mineral olivine should concentrate in the mantle. However, as described in a paper in this week’s issue of the journal Nature, that’s not what Dawn’s visible and infrared mapping spectrometer (VIR) instrument found. The observations of the huge craters in Vesta’s southern hemisphere that exposed the lower crust and should have excavated the mantle did not find evidence of olivine there. Scientists instead found clear signatures of olivine in the surface material in the northern hemisphere. “The lack of pure olivine in the deeply excavated basins in Vesta’s southern hemisphere and its unexpected discovery in the northern hemisphere indicate a more complex evolutionary history than inferred from models of Vesta before Dawn arrived,” said Maria Cristina De Sanctis, Dawn co-investigator and VIR leader at the National Institute for Astrophysics in Rome, Italy. Perhaps Vesta only underwent partial melting, which would create pockets of olivine rather than a global layer. 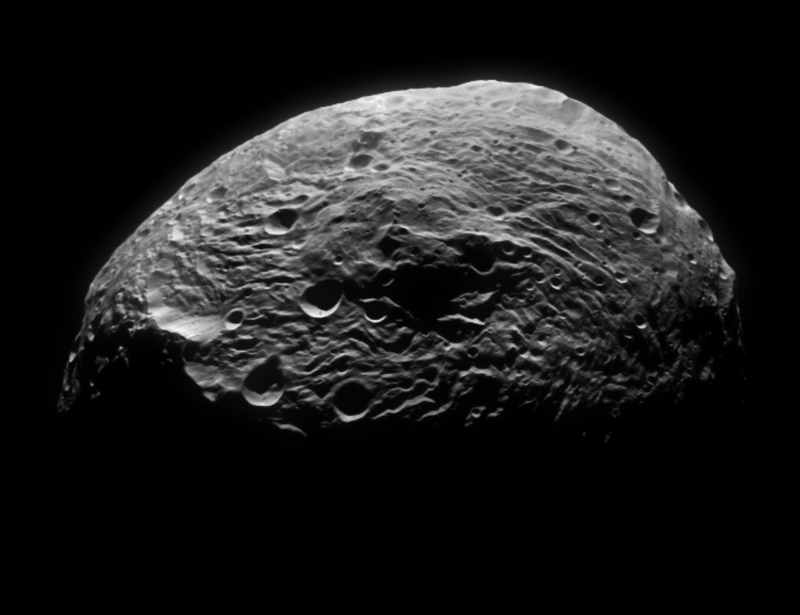 Perhaps the exposed mantle in Vesta’s southern hemisphere was later covered by a layer of other material, which prevented Dawn from seeing the olivine below it. ‘Coated’ as though Vesta once passed through a ‘cloud’ of olivine? or maybe the olivine formed or was produced by temperatures generated by impact? Where or how might something like that happen?